The leader of Germany's Free Democrats (FDP) Christian Lindner speaks at the FDP party convention in Berlin, Germany, September 17, 2017. BERLIN - Germany’s Free Democrats (FDP) on Sunday ruled out joining a post-election coalition with Chancellor Angela Merkel if she supported French plans to deepen fiscal integration in the euro zone. Germany goes to the polls next Sunday, when Merkel looks almost certain to be elected to a fourth term in office, though her conservatives will not win enough votes to govern alone. The socially liberal FDP have long been seen as her natural allies and were junior partners in her second government from 2009 to 2013. They crashed out of parliament that year but are hoping to re-enter the legislature on Sept. 24 as the third-largest party. ”The toughest question is setting the agenda for the future of Europe,“ FDP leader Christian Lindner told the Welt am Sonntag newspaper. ”I fear that Ms Merkel has already agreed to new funding mechanisms (for the EU) with (French President Emmanuel) Macron. “Everything that goes in the direction of financial transfer on the European level, be it a euro zone budget or a banking union, is a red line for us”. Macron, who is to is present his views on the future of the euro zone on Sept. 26, has called for a finance minister and a standalone budget for the bloc, while European Commission chief Jean-Claude Juncker on Wednesday urged EU governments to use economic recovery as a springboard towards closer union. Merkel has said she would work with Macron on strengthening the euro zone. But Germany remains insistent that member states should take primary responsibility for their own economic problems. 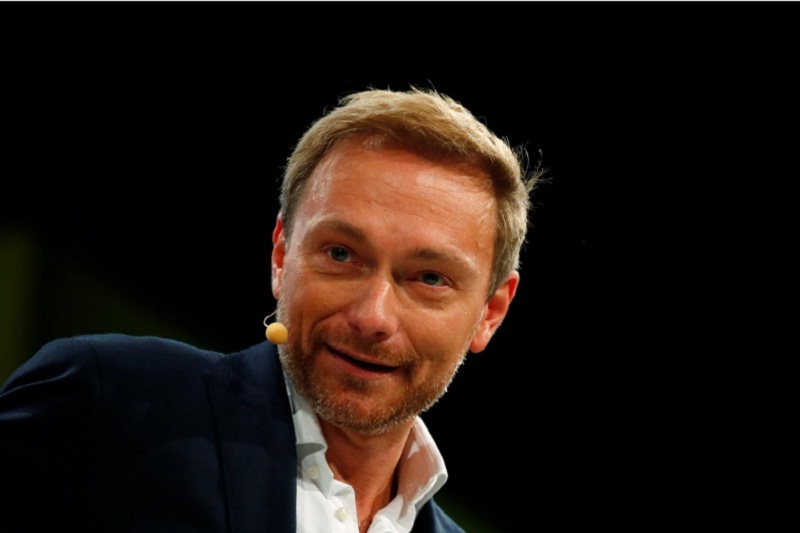 The FDP have reinvented themselves under Lindner, who preaches a hard line on Europe. They are polling 8 to 10 percent in surveys, while Merkel’s conservatives are on around 37 percent, leaving their combined forces just short of a majority. Analysts say completing a banking union and creating a euro zone budget would provide more stability for the currency bloc, and that a conservative/FDP coalition might threaten such plans. “I fear there could be a strong reaction on bond markets should the FDP push for a literal enforcement of fiscal rules or for an expulsion of Greece as part of a future ruling coalition,” said Martin Lueck of asset manager BlackRock. A grand coalition with the center-left Social Democrats (SPD), Merkel’s current partners and polling around 23 percent, would make it much easier for the chancellor to work with Macron on overhauling the euro zone. The center-left SPD have often criticized Finance Minister Wolfgang Schaeuble’s tough stance on Greece and have even backed the idea of common euro zone debt. The FDP are fighting for third spot against the anti-immigrant Alternative for Germany (AfD), which is forecast to enter parliament for the first time. Germany’s Free Democrats (FDP) on Sunday ruled out joining a post-election coalition with Chancellor Angela Merkel if she supported French plans to deepen fiscal integration in the euro zone. Germany goes to the polls next Sunday, when Merkel looks almost certain to be elected to a fourth term in office, though her conservatives will not win enough votes to govern alone.